In the month of October representatives from PREDIF (Representative State Platform for Physically Disabled Persons) and the Spanish Railway Foundation met managers from two Greenways4ALL project members, La Sierra Greenway (Cadiz-Seville) and Ecopista do Dão (Viseu, Portugal), at two events whose purpose was to train the technical staff of each area in matters of accessibility. At the close of each event a “Local Accessibility Agreement” was signed by the host greenway. 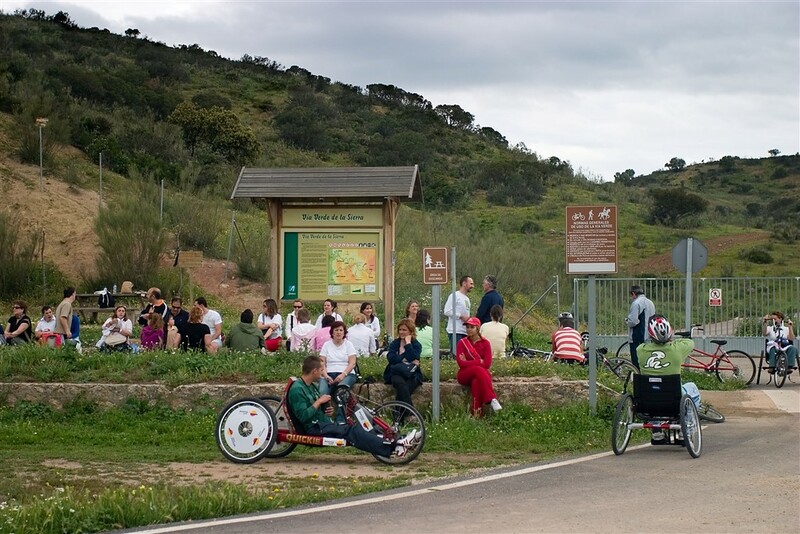 The “Local Accessibility Agreement” for La Sierra Greenway (Cadiz-Seville) was reached during the event held on October 19 and 20 at Olvera station. 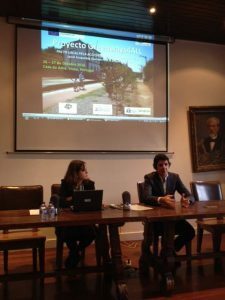 Representatives from PREDIF and the Spanish Railway Foundation (FFE), in collaboration with the La Sierra Greenway Foundation, organized a training workshop for greenway managers and owners of tourism establishments. This event included a technical visit to and an accessibility assessment of a stretch of the greenway and of a number of different types of establishments such as accommodation, restaurants and an interpretation centre. The schedule also included a presentation and a short dissemination session on accessible tourism and greenways. In the framework of this event the “La Sierra Greenway Accessibility Agreement” was also signed with a view to moving towards a greenway-based accessible tourism product for everyone. The “Local Accessibility Agreement” for the Ecopista do Dão (Viseu. Portugal) was reached during an event held on October 26 and 27 which followed the same pattern and had the same aims as the one held at the La Sierra Greenway. All these actions form part of the Greenways4ALL project, in which EGWA provides the European dimension. EGWA will promote the exchange of best practices that can be applied to other European greenways and so foster the enhancement of accessibility on and around greenways.